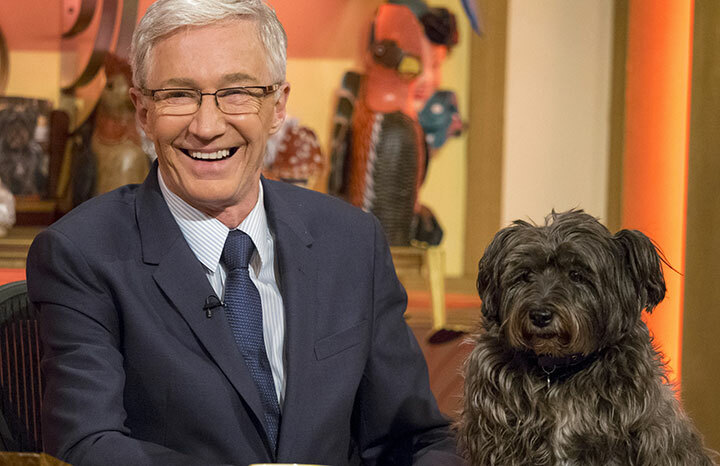 From For the Love of Dogs to his secret wedding, we investigate Yours favourite Paul O’Grady. The lovely Paul is grieving over the loss of his pooch after it suffered a particularly bad epileptic seizure. He shared: "Now I will tell you my lousy news. You know that I did have an epileptic dog called Bullseye. I've got two dogs that both have epilepsy and I've managed it with medication. However on Monday night he had a massive seizure, like a really bad one that he didn't come out of and on the way to the vets at two o'clock in the morning he died in the car." To make matters worse another of Paul's dogs had to go to the emergency vet the same night as it ate some chocolate! He added: "I get home from the vets and one of my other dogs had found a bar of chocolate that was 80% cocoa that had been left out stupidly - not by me! I don't like chocolate - on the coffee table. So we had to go back, it was the same emergency vet, for her to get her stomach pumped and we got her back two days later looking worse for wear because she was covered in charcoal because you know they give them charcoal at the vets. I can't tell you, poor old Bullseye. He was such a lovely dog, he had a thing about doorways, you had to coax him through them and he wouldn't go upstairs. It was part of his condition I think, he was a sweet little dog and sadly missed." All the heartache caused by his beloved pets has inevitably caused Paul to doubt whether he would ever get another pet. Speaking on BBC Radio 2, he added: "Maybe a mongoose might twist my arm, but no I can't handle it, it's what I always say - invite an animal into your life, inevitably you invite heartache. But then why contemplate the hangover when you're at the party, you know what I mean? So that's the poor saga about poor old Bullseye, he's gone but not forgotten." Poor old Paul, we’re so sad to hear of his animal heartbreak. 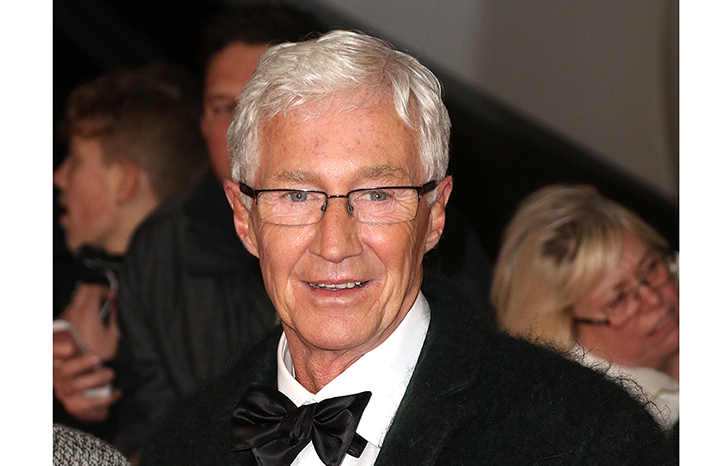 Paul O’Grady and his husband Andre Portasio were verbally abused during a business class flight back to London from Thailand when a man called Andre a “queer". "He didn't know I was sitting next to Andre. Then the bonehead was saying something about me thinking I could do whatever I wanted because I was famous. "He claimed Andre had been looking at him, which was ridiculous. I mean, he was this typical English yob with a beard and a beer belly." Paul told cabin crew about the ordeal who then removed the man from business class before he was arrested when they landed at Heathrow airport. However, Paul and his husband declined to press charges as they didn't want other passengers to be delayed and have to give statements, so he was released after being cautioned. Speaking to The Sun, he said, "It was only afterwards I thought they should have turned that flight around and had him arrested by Thai police. It could easily have turned nasty up there." We've been loving Paul's adorable new series which takes a look at the amazing day-to-day work they do at Great Ormond Street hospital. If you've not watched it before, you'll see Paul visiting Great Ormond Street Hospital to spend time with the brave children being treated for a range of illnesses. He'll try and bring a smile to the faces of the remarkable patients and 4000 staff members as well as providing them with a helping hand. In the emotional second episode, Paul meets nurse Ruth, who has had her own 14-week-old son admitted into the hospital. Ezra has Tracheo-Oesophageal Fistula, a rare condition that means he has trouble swallowing food. Paul also visits 15-year old Louis, who is receiving treatment for his epilepsy. Are you a fan of Paul O Grady's Little Heroes? Let us know what you think of the series over on our Facebook page and Twitter page. 62-year-old Paul O'Grady has hit out at Britain's culture of political correctness, saying people have become too easily offended over recent years. Paul explained: "It's all too PC now and I hate it. People ask me if I'd do Lily again and I say no way - I'd be lynched!" Paul believes that young people now struggle to distinguish between irony and the truth, which he claims has caused the country's sense of humour to suffer. Speaking to the Daily Star newspaper, he said: "People don't understand irony. You can't say anything anymore. They don't get the jokes. It's a worry. Anything you say is taken as gospel and it's just a gag. "I could make a quip on stage that I don't like cheese and suddenly I am condemning the cheese trade ... leave off!" Paul went on to accuse the public of getting caught up over trivial issues. He said: "People love to be offended and outraged in this country. I think: 'Oh get over yourself' if someone's skirt on breakfast TV is too short. "For god's sake. I don't know if I want to live on this planet any more. People are too touchy now, everyone is a social media critic - it's bizarre. Worry about your own life! It doesn't concern you! There's more important things to worry about. Like Donald Trump. "But do I worry what I say? No, do I hell. I can't be bothered. I am too old for any self-censorship. I let rip during the ad breaks instead and you can hear the audience gasp. It's hilarious." Do you agree with Paul's controversial comments? Let us know over on our Facebook page and Twitter page. Channel 5 have announced Blind Date will be returning later this month with Paul O'Grady remaining the host of the popular matchmaking show. The new series will return with a new set, similar to the set that Cilla Black used to present the show in. Series three will pick up where it left off, first seeing how Chris and Amy's date from last series went, before Paul sets up the new singles! Blind Date series three starts on 16th June at 8:40pm on Channel 5. Paul and Cilla were great friends, and Paul was hit hard by her death. Now, after enrolling in a new course, the 62-year-old TV presenter has been trying to evict his late best friend's spiritual entity following her death in 2015 aged 72. Quoted by the Daily Star newspaper, he said: "I've been exorcising ghosts. I've actually been exorcising our Cilla." Following the exorcism, the 'For the Love of Dogs' presenter admitted he is "glad" he took part in the spiritual practice. "I was very conscious so I'm glad I've done it. I actually loved doing the exorcising ghosts thing. It was a thrill." Paul came face-to-face with other spirits in September 2008 when he starred on 'Ghost Hunting With... Paul O'Grady and Friends' - which was hosted by Yvette Fielding - and admitted afterwards that Cilla wouldn't care if an exorcist was sick all over her. He said: "Nothing would bother Cilla. If the exorcist vomited on Cilla she wouldn’t bat an eyelid." Paul was joined by close friends Jennifer Ellison, Philip Olivier and Natasha Hamilton as they headed to Palermo, southern Italy, to film the show. He said: "I was paralysed with fear and I don’t mind admitting it ... Look at my hair, who needs hair gel when you’ve just gone down the catacombs? "I am going to be up all night now, going through all this in my head." "After Phil and I were lowered into this chamber, I thought ‘I’m not going to make a show of myself. I’m going to be Mr Cool’ – but I was terrified." What do you make of Paul's experience? Let us know over on our Facebook page and Twitter page. 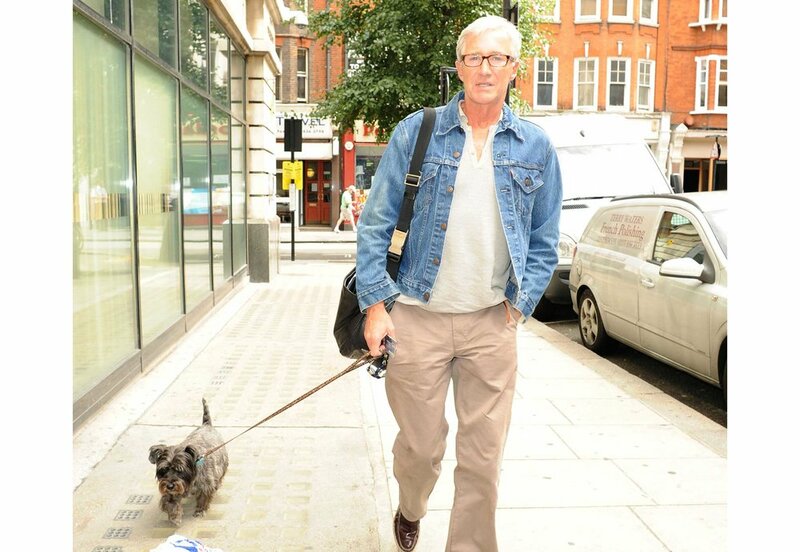 Paul O'Grady thinks his life is much better now he's stopped watching TV. The 62-year-old presenter revealed to the Daily Star newspaper that he used to be addicted to watching the telly, admitting he'd watch hours and hours of programmes every day. He's recently quit watching so much TV and he says he's feeling happier and healthier for making the change. "I used to have the telly on all the time and sit and watch all the soaps and shows - but not now. "Those days are over. My health is better than ever for it too. My doctor even said that I am in much more perfect health - it's given me a new lease of life. "Anyway there is much more stuff to do in life than watch telly." Paul suffered a major health scare in 2017, when he was rushed to hospital and told by doctors that he was at risk of kidney failure. Paul previously explained: "I used to think I was invincible but now I'm running out of lives. I'm not scared of death at all ... It's the way you die that worries me - that's the fear. "I think I could lie there on my deathbed and say, 'Well, I've had a good time and filled a book. I've done everything I wanted to do.'" After the very sad news that Dame Barbara Windsor is living with Alzheimer's disease, close friend Paul O'Grady has revealed that Barbara is "still very much with us" when speaking to the Mirror newspaper. “We’re all here for her but she’s still Barbara Windsor. Paul also revealed that Barbara's husband, Scott had given his blessing for Paul to speak to the media about Barbara’s condition, he continued: “When Cilla (Black) died all these people popped up on the chat shows who she didn’t even know… saying, ‘She was my greatest friend’, and you’re thinking, “So where were you when she needed you?’. I didn’t want to be jumping on the bandwagon. Are you a fan of Paul's Sunday radio show? Sadly, it seems Paul is unhappy there after saying he might move to a commercial station because he's unhappy with his "ropey" fee for his Sunday afternoon slot, despite reportedly being paid a six-figure sum. Speaking on air with his producer Malcolm Prince, Paul made his comments after being told BBC Director General Tony Hall would be in Lisbon, Portugal, for the Eurovision Song Contest this weekend. He said: "Oh old Tone, is he going? Is he a big fan? Just tell him my pay packet is looking ropey when you have a word with him." Paul then went on to criticise the station for not having equal pay for its female presenters. He continued: "The women aren't getting the full wack, the men are getting more and then there's poor old Paul O'Grady who doesn't even exist anymore, who's buried in the basement of Wogan House who you've forgotten is on the air. "I'm sure they have. I never get a mention. Have you noticed I never get a trail or anything? "I'm going to kick off, I'm going to go to commercial radio, I really am - adverts galore. "I'll be there condemning you all - there'll be a twisted curse on you all at Wogan House!" What do you make of Paul's controversial comments? Let us know over on our Facebook page and Twitter page. We were so devastated to hear about Paul's dog Olga passing away recently because of kidney failure. During his Radio 2 show last night, Paul thanked fans for their support during his difficult time, saying he is "devastated" after losing his dog. "She was 13 years of age and she was tough as old boots that one, she was hard as nails, she was like a gangster's moll in a dog," he told listeners. He continued: "On the Saturday we had to let her go. If you are going to be a responsible dog owner you've got to do that. You cant keep them on, not when they are in pain." O'Grady said Olga is buried in his orchard, adding: "It was all very very sad, hideous. I was devastated, seriously." Paul returned to work the next day to film at a children's hospital for an upcoming show and was overwhelmed by the response. "I go in the next day and they are giving me sweets and saying, 'We're sorry about your dog', and it's torture trying to hold it together for the cameras, especially when you are dealing with a really ill child. "They are so resilient, they are not thinking about themselves." We were so upset to hear Paul's beloved dog Olga had to be put down at the weekend after it was reported she had been ill for a while. The famous 14-year-old dog was a regular on TV and radio with Paul, but four years ago, the Cairn terrier cross had suffered with Cancer four years ago. Paul reportedly spent £8,000 on Olga's treatment but sadly, there was nothing he could do to help his lovely dog this time. "She was ready to go. At least I will have a good night’s sleep now. I have been up with her for two nights on the sofa. She’s been up in the night vomming and things,’ said Paul to the Sunday Mirror newspaper. "It’s the hardest thing to do but it’s the only thing to do. I knew it wasn’t Olga any more, she was a state. I shed my tears earlier on in the week. It’s heartbreaking but she had a great life. She loved television studios." Coronation Street has been hitting the headlines this week after some very controversial and shocking story lines. Now, Paul O’Grady has hit out at the soap for being “like Syria”. It is believed Paul’s comments were referring to the current story line with evil serial killer Pat Phelan, who has killed four people in a killing spree before burying them in cement. Paul, 62, made the remarks before the chemical gas attack in the Syrian town of Douma, which killed at least 70 people. To celebrate 70 years of the National Health Service, Paul O'Grady has been revealed as the host for the Mirror and ITV NHS Heroes Awards. The ceremony will recognise the amazing achievements of NHS staff, volunteers and supporters who work incredibly hard to transform lives. The deserving winners have been chosen by the NHS Heroes judges after nominees were put forward by members of the public. 62-year-old Paul, who has thanked the NHS for taking care of him after his three heart attacks, is delighted to be hosting the event, revealing to the Daily Mirror, “I’m thrilled and delighted to be hosting the new NHS Heroes Awards as this wonderful institution celebrates its 70th year. The awards are set to take place next month and will be televised on ITV as a two hour special show. Paul O'Grady believes in aliens! Paul confessed to listeners to his Radio 2 show that he's actually seen a UFO hovering above his orchard at 2am, and is 'terrified' he's being observed by extra terrestrials. He added that after hearing singer Kim Wilde talking about her own belief in aliens, he came to the conclusion that he was being watched. "We've got 'em in Kent - I'm serious - over Folkestone, Dungeness and Hythe," he said. "I've seen them, and I'm not the only one - I've got witnesses so I'm not going out of my mind." In recent years, we have all become aware of the truth behind Florida theme park, SeaWorld, and how the orca whales are mistreated. This was brought to public attention following the documentary, Blackfish. Now, Paul has backed campaigns against SeaWorld by urging travel operator Thomas Cook to stop selling tickets to the theme park. “We know so much more about wild animals today than we did decades ago…I hope you’ll agree that we can no longer in good conscience continue to exploit them for human entertainment. This comes after the news that the theme park’s CEO, Joel Manby has resigned due to a decline in ticket sales. The fall in sales not only follows the documentary but also PETA’ shocking claims about the treatment of the orcas. According to PETA: “Young orcas are separated from their loving mothers – with whom, in the wild, they often spend their entire lives. In nature, orcas travel up to 100 miles a day, but in captivity, they have no choice but to swim in circles in tiny tanks. "The resulting frustration may cause them to chew on concrete walls or attack one another. At least 41 orcas have died at SeaWorld – none of old age." It turns out that the secret of Paul and husband Andre Portasio's marital harmony is an unusual one - the pair don't live together. Paul, 62, and Andre, 37, live apart in the style of famous former couple Tim Burton and Helena Bonham Carter. Paul has said: "We're doing a Helena Bonham Carter and Tim whatshisname, and it works a treat. It's the same as before. We see each other all the time." 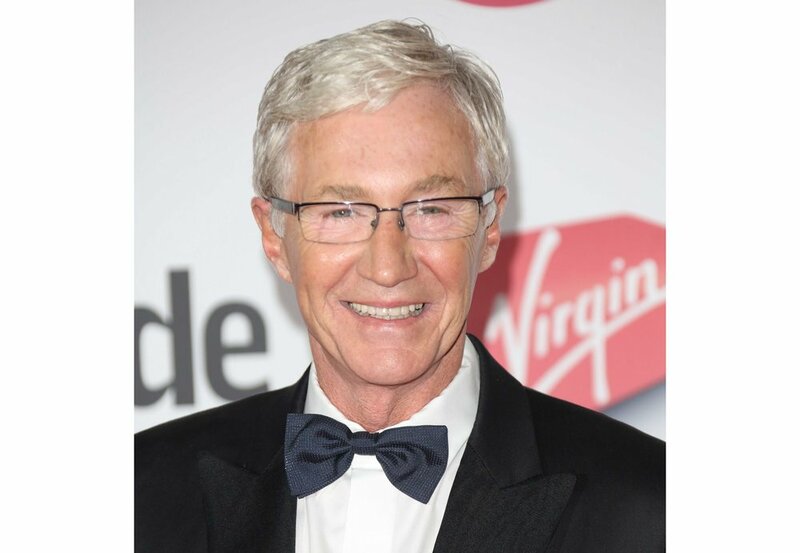 Paul O’Grady is a TV presenter, comedian, actor, writer and radio DJ. How old is Paul O’Grady? Paul was born in June 1955 and is currently 62. Paul O’Grady’s career started as the outrageous drag queen character Lily Savage. Hilarious and very naughty, Lily began touring the London drag circuit, making quite the name for herself. Paul was working in pubs at the time and also acted as a compere for other acts, becoming increasingly popular. He eventually quite work to act as Lily full time, winning awards at the Edinburgh Fringe Festival. He later released videos of his tour and began work on the radio as Lily, on Woman’s Hour and Loose Ends. Lily then made an appearance on Brookside and even presented an episode of Top of the Pops. Paul’s TV breakthrough came in 1988 when he appeared as a transvestite character called Roxanne in The Bill. He followed this up with roles in Chimera on ITV where he became pals with Liza Tarbuck, and playing Marlene Dietrich in Rik Mayall’s The New Statesman. You might also remember Lily from The Big Breakfast, having taken over from Paula Yates. Paul found the early starts hard to cope with, but enjoyed asking deeply personal questions of his guests. 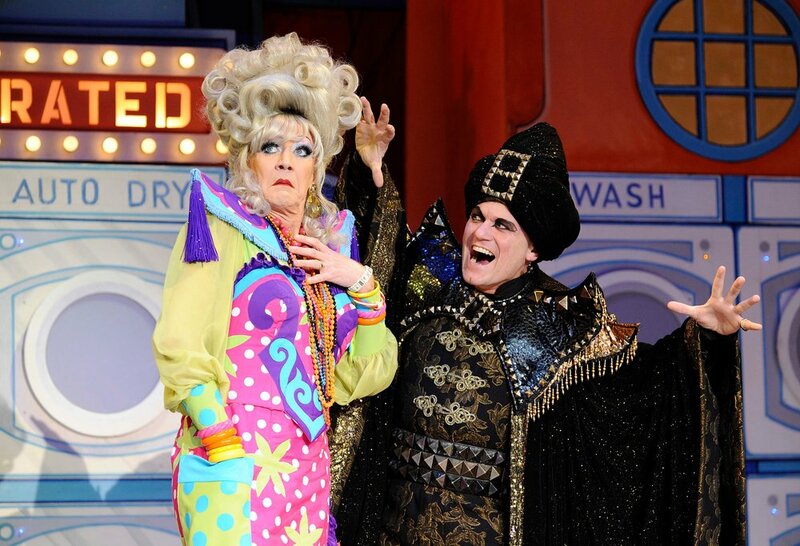 Paul - as Lily Savage - has appeared in all sorts of pantomimes. It became a Christmas tradition, although this year he's planning a family Christmas. Paul has a well-documented love for dogs, starting with his beloved shih tzu Buster, who he took on tour with him. Sadly no longer with us, Paul has described him as a ‘smashing dog’ who was never happier than in the world of showbiz, being fussed over by staff and public alike. Buster died in 2009 after a struggle with cancer. Cairn Terrier Olga is also famous for her TV roles with Paul. He's described her as 'Ma Baker' for the way she rules the roost with his other pets! Dear little runt Eddie came home with Paul during the filming of For The Love of Dogs. He took him at the end of the series, unable to resist his puppy charms! He's said: "He was the runt and the head nurse had to hand rear him. She was really worried about him so I said, 'oh, give him here!' He's feisty now, a real character." Oh how we enjoyed Blankety Blank! The funny gameshow was revived in 1998 with Lily Savage at the helm – she was hilarious with her ad-libs and naughty jokes. It proved extremely popular, and moved from the BBC to ITV with Paul on a £1m contract! He also got to make a comedy series on the channel called Lily Live! As Lily’s career hotted up even further with appearances on Richard and Judy and Ready, Steady, Cook, Paul performed as Mrs Hannigan in the West End’s Annie – a role that would later be performed by Craig Revel Horwood and Miranda Hart! He later appeared in Chitty Chitty Bang Bang as the Child Catcher, and went on to do many pantomimes. After so many years in a fluffy blonde wig and heels, Paul wanted to retire the character of Lily and make a name in his own right. He made a travel series for ITV which saw him travelling across Asia, in Paul O’Grady’s Orient, and then made Paul O’Grady’s America. Neither were particularly well received. In 2002, poor Paul was rushed to hospital after suffering a heart attack. He was told it was a result of family heart problems, stress, heavy smoking and caffeine. He suffered a second in June 2006, while at home, and had to have angioplasty surgery. This was in the middle of his Paul O’Grady Show success, so he began taking one day off a week for his health, filled in for by presenters including pal Cilla Black. In 2013 he suffered an angina attack and had more heart surgery. Paul isn’t a fan of reality TV shows and has turned down a fair few, with the exception of Celebrity Driving School. He did this for a Comic Relief special and ended up gaining his licence after the programme – despite having an epic melt-down on camera! Uncharacteristically, Paul agreed to star in a sitcom because he loved the script so much. The script in question was for Eyes Down, a Liverpool bingo themed show, in which he played unpleasant manager Ray. After standing in for Des O’Connor on Today with Des and Mel, Paul realised he had a knack for live TV and did well with audiences. He was offered his own programme, The Paul O’Grady Show which began in 2004 and was a huge hit. It saw him interviewing celebrity guests and was packed with jokes, music and his beloved dog Buster. He moved the show from ITV to Channel 4 in 2006, as he wanted Olga TV (Murphy’s production company, named after their dog) to take creative control. In total he presented a whopping 11 series, ending in 2009, before taking it back to ITV for a teatime version until 2015. As unlikely as it sounds, Paul appeared in Doctor Who episode The Stolen Earth in 2008. Paul met Brendan Murphy (known as Murphy) in the 1980s while he was performing as Lily, and the two fell in love. Murphy then became Paul’s manager. Tragically, at the height of Paul’s fame on The Paul O’Grady Show, Murphy developed brain cancer, and Paul cared for him at home. He died aged just 49, two days before Paul’s 50th birthday. Possibly our favourite of Paul’s projects has been For the Love of Dogs. The series has been running since 2012, and features many of the loveable mutts at Battersea Dogs and Cats Home as they strive to find new families. Paul is such a natural with animals – for the first series he stayed as a volunteer at the centre for six months instead of the scheduled six days! He also ended up taking home Jack Russell-Chihuahua cross Eddy. 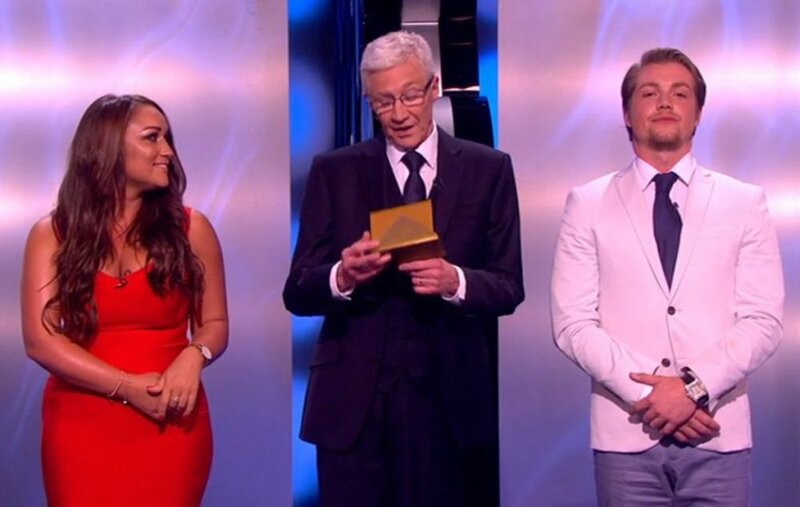 Paul wins a Special Recognition Award at the NTAs! We were delighted to see Paul awarded a Special Recognition Award at this year's National Television Awards, for his tireless efforts on For the Love of Dogs. It couldn't have happened to a nicer man. 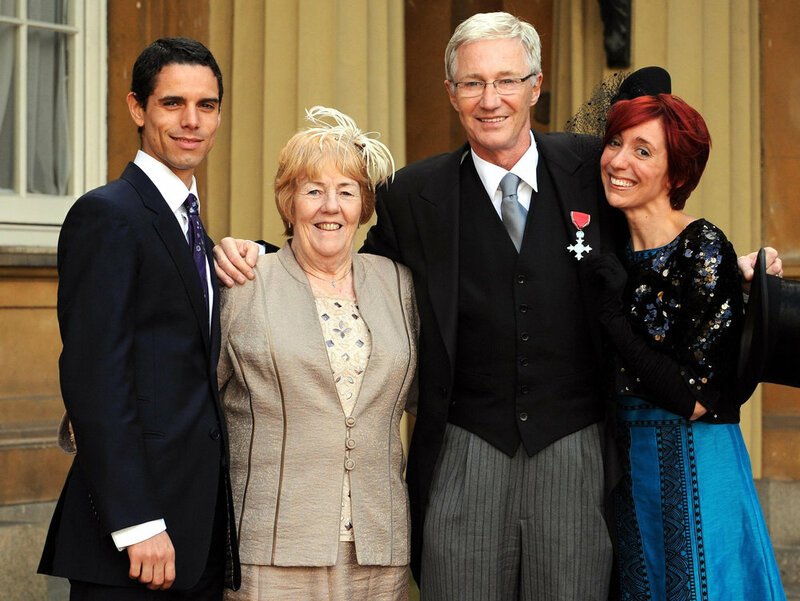 We're now on the campaign trail for Paul O'Grady to be knighted! We loved the For the Love of Dogs Christmas Special, which featured a pregnant terrier-cross who was tragically abandoned on Hampstead Heath, as well as two adorable Bassett Hounds determined to stick together! Paul made a three-part series in 2014 called Animal Orphans that saw him visiting adorable baby animals in Africa. He went on to make two more series. He also made For the Love of Animals. After some persuading Paul eventually agreed to fill the big boots of Cilla Black, as presenter of Blind Date after her death. A second series is due in 2018. When a Blind Date contestant is stood up - Paul steps in! One more reason to love Paul O'Grady: the gold-hearted presenter stepped in to help a Blind Date contestant left in the lurch! Fans of the show will remember that last weekend Rosie from Kent picked 'number three', aka Conor from Preston, and the two won a trip mountain biking in Wales. Except Rosie decided Conor wasn't 'The One' and stood him up for their date. Poor Conor. Luckily, kind Paul couldn't stand to see Conor have a holiday alone, so he stepped in to save the day! "I couldn't leave one of our contestants all alone on their date," he says, "so I stepped in to lend a helping hand." Lovely Paul made sure that Conor wouldn't have to endure a date weekend in Wales all alone, so arranged for recent contestant, Danielle from Dublin to join Conor on his date. The attractive pair had a great date biking through the mountains and enjoying the hot tub, but sadly it wasn't love, as Danielle announced on the show that she would prefer to just remain friends with Conor rather than something more serious. Poor Conor! Paul is in a long-term relationship and now married to ballet dancer Andre Portasio. Paul and Andre Portasio have been together since 2006 and got married in a small, secret ceremony in August 2017, at the Goring Hotel. Is Paul married to Teresa Fernandes? Paul was married from 1977 – 2005 to Portuguese lesbian Teresa Fernandes although the pair were not in a romantic relationship, and during that time Paul was in a relationship with Brendan Murphy. He says they married as her family were putting pressure on her. Does Paul have a child? He has a daughter, Sharyn, who he had with friend Diane Jansen in 1974. Daughter Sharyn is married to son-in-law Philip. He also has a grandson, Abel, born in December 2006 and a granddaughter, Halo, born in 2010. The family are happily very close, and spend Christmas together whenever Paul isn't performing in panto! Paul has a hugely popular Radio 2 programme called Paul O’Grady on the Wireless, which he has presented on Sundays from 2009. Where is Paul O’Grady’s house? In 1999 Paul bought Vic Reeves’ home in Aldrington, Kent for £650,000 and built a smallholding for his animal friends. Here, he grows organic fruit, vegetables and herbs. What animals does Paul have at home? In his Kent home he keeps sheep, pigs, goats, donkeys, ducks, chickens, geese, ferrets, mice and dogs. He divides his time between there and a flat in London. Our favourite presenter has revealed he almost died while filming in India! Paul was rushed to hospital for life-saving treatment after falling ill in New Delhi. He's not entirely sure what happened, but thinks it may have stemmed from petting wounded puppies, which may have given him a vomiting bug. His doctor told him he was 'heading for renal failure', but thanks to antibiotics and plenty of fluids, he recovered his health. He's expressed his gratitude to hospital staff. We're so relieved he's feeling better! Paul has been passionate about elephants for a long time, having met many over the years on his travels. He recently visited India for his recent programme For the Love of Animals, and is now begging tourists not to ride on elephants on their holidays - no matter how tempting it looks. He's said: "Asian elephants are very special creatures and we need to protect them. Don't go riding on their back or go looking at them at temples." "As a kid I got the Diddymen annual and would see him at the theatre and just be completely entranced. At Christmas we’d watch him on TV at my auntie’s. She’d scream with laughter. My auntie and my mum used to go and stand outside the courts to show support during the trial over his taxes. When he came out, they’d shout: 'We’re behind you, Ken! Good luck, lad!'"